My suggestion in a recent post that we are using a too narrow definition when discussing new audiences in particular and classical music in general leads me to Lalo Schifrin's Jazz Mass. In a Facebook comment on this thread Joshua Cheek astutely observed that "'crossover' is a dead end... it has become a genre unto itself". In crossover the imperative of the audience takes priority over the imperative of the music. But in the Jazz Mass art most definitely takes priority over audience despite Lalo Schifrin's reputation for acclaimed movie soundtracks. 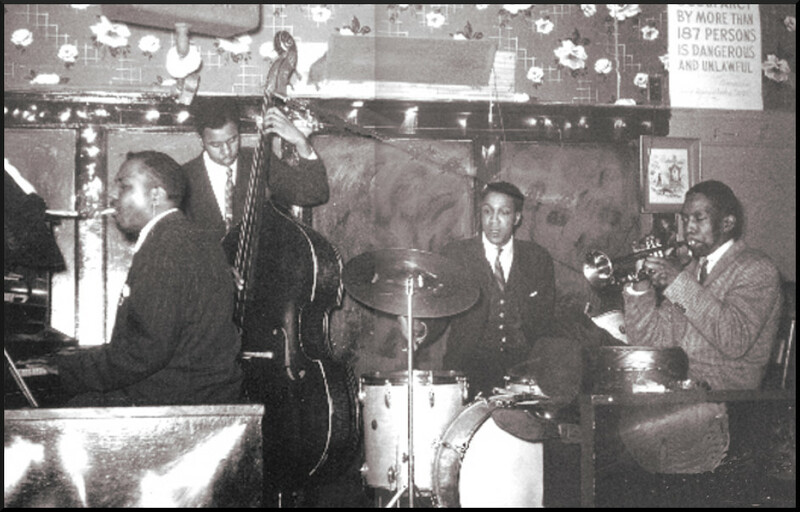 His Jazz Mass fearlessly challenges comfort zones: it incorporates contemporary modes, improvisation is a key feature and the Credo is aleatoric, with breathing cycles determining changes in vocal pitch and dynamics. 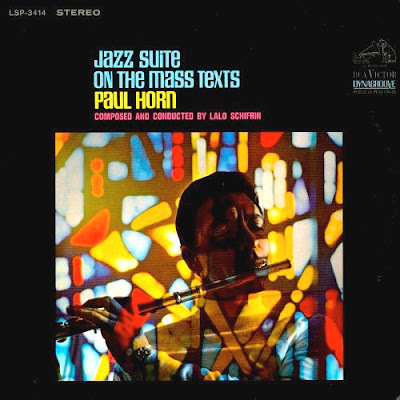 The multifaceted and mystical flute virtuoso Paul Horn commissioned the Mass - which is sung in English - in 1964. His LP recording seen above, which was titled Jazz Suite on the Mass Texts as it does not strictly follow the structure of the Catholic Mass, won two Grammys. In 1998 Lalo Schifrin directed a concert recording in Cologne with the WDR Big Band which is equally commendable; this release used the less opaque title Jazz Mass. New audiences remain top of the agenda, yet Lalo Schifrin's Jazz Mass is another work that is unfairly denied an audience. As jazz great Michel Legrand explained: "To me, both jazz and classical music have the same goal. There should be no lines of demarcation between them, for the end result should simply be - good music." * Sam Gill photo credit The Hospitality Suite. Any copyrighted material is included as "fair use" for critical analysis only, and will be removed at the request of copyright owner(s). Also on Facebook and Twitter. On An Overgrown Path now takes a much-needed break while I turn my attention elsewhere. Do take care while I am off-grid. John Adams's music is typical of these boundaryless influences.